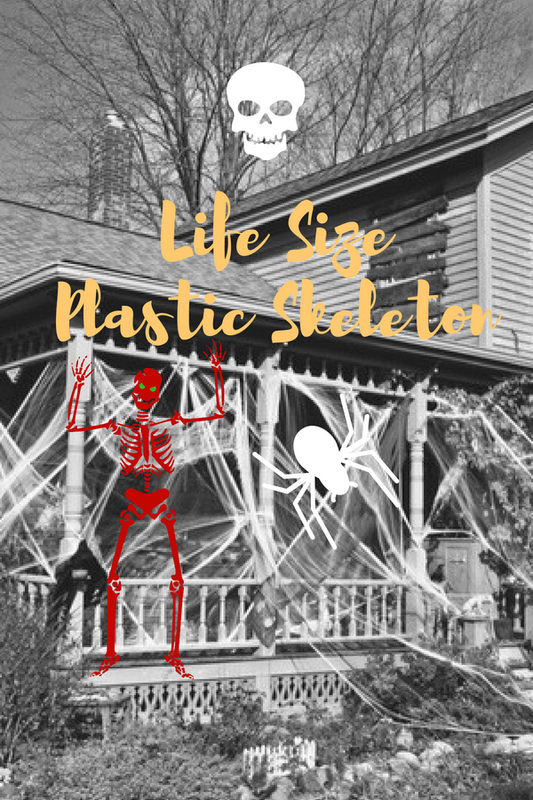 Let’s add life size plastic skeleton to Halloween decoration for extra spooky touch in your front yard or your patio. Those large realistic human skull props are made from weather resistance pliable material that performs well in outdoor environments. Most of them come with posable limbs. If you would like to display internal framework of bone with seating position, then consider the first three options in this page. Don’t miss the prop with Pirate theme if you are big fans of film named "Pirates of the Caribbean". These accessories such as bandana, eye patch, sash and peg leg are competed its pirate look. It is ready to say Hi to all your guests on the eve of All Saints' Day. Alternatively you may consider the forth one If you would like to place it on your lawn. It looks happy and seems like waiting someone pass by and give it a hug. The last one is the scariest prop. It dresses up like a monk and comes with glowing eyes. Click the link if you would like to explore more options of lifesize animated Halloween props.